Choose a State and Find Your Fun! 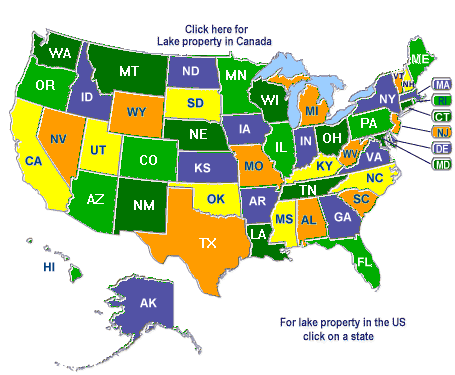 Book a Lake Vacation Rental Today! Save money by booking thru us! We do not charge the same service fees that other sites do. Compare the prices and get a better deal here! The information included here can also help you enjoy your weekend, vacation or relocation to many lakes in the United States and Canada. We have included a map, weather, boating, fishing, camping and local area information for most of our lakes.